Get ready to catch a ton of Eevee. A special two-day Pokemon Go Community Day is set to kick off this weekend, August 11-12. 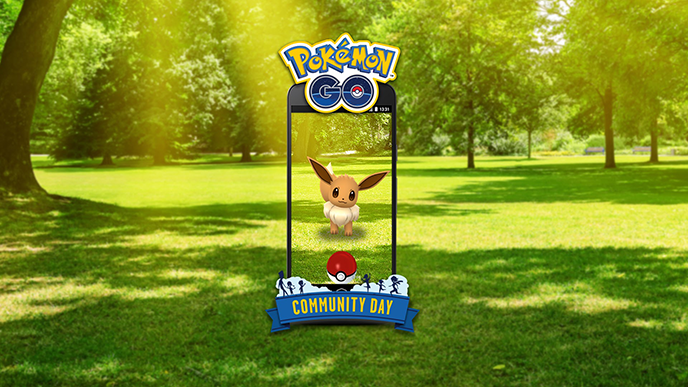 The event stars the adorable “Evolution” Pokemon Eevee, and it will let players encounter more Eevee than normal from 2 p.m. ET to 5 p.m. ET each day. Every Eevee captured during these three-hour windows will know an exclusive battle move, Last Resort. In addition, players will earn three times the normal amount of Stardust (the game’s free currency) as they capture Pokemon during this event. Finally, Pokemon Lures will last for three hours during the event, rather than the default 30 minutes. Pokemon Lures can be placed on PokeStops to lure wild Pokemon to them. While Eevee normally isn’t a rare Pokemon, it is one of the most unique creatures in the Pokemon universe, as it can evolve into eight different Pokemon: Vaporeon, Jolteon, Flareon, Espeon, Umbreon, Leafeon, Glaceon, and Sylveon. Only the first five are available in the game as of this writing. Keep in mind that each Community Day (so far) has allowed players to capture Shiny, or special rare versions of the featured Pokemon. If this is the case for the Eevee event, players will have a chance to evolve their Shiny Eevees into Shiny versions of its different evolutions. Unfortunately, Eevee’s evolution system in Pokemon Go is pretty complicated. We explained Eevee’s evolution in our Pokemon Go evolution guide, but here’s a quick refresher: when players evolve Eevee in Pokemon Go, they’ll receive one of three Pokemon at random (Vaporeon, Jolteon, or Flareon). Players need to fulfill certain requirements before they can evolve Eevee into Umbreon and Espeon. A naming technique allows players to guarantee which of the five Eevee evolutions they’ll receive by changing Eevee’s name to something specific before evolving it, but this trick can only be used once per evolution. If you’re the type of player who wants one of every Shiny Pokemon ever released -- and you’ve already used the naming technique -- your best bet will be to capture as many Shiny Eevee this weekend as you possibly can, so you have the greatest chance of collecting every Shiny evolution. This includes planning ahead for the three evolutions that haven’t even been added to the game yet.